We did not eat this quilt for dinner. But we did send it off to friends who hopefully will have many a dinner picnic on it. It all connects…in a way? 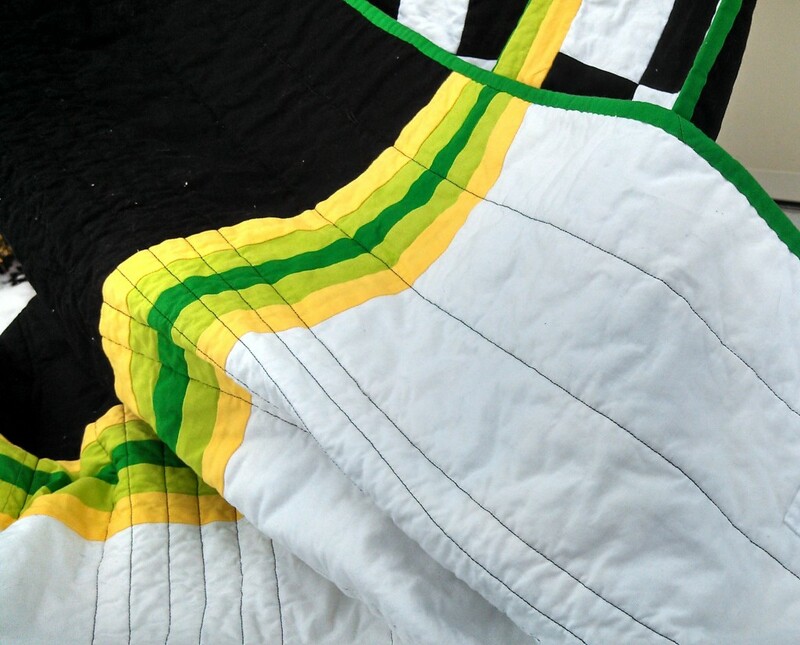 I want to keep track of my finished quilting projects, and well, this blog already exists so I’m going with it. This quilt took entirely too long to make due to the hectic nature of life. But, I’m happy it’s done and happy to get it to its new home. I used this pattern and modified it to include the different color stripes. I also pieced the back and hand embroidered the label (not shown since it has names and a wedding date). 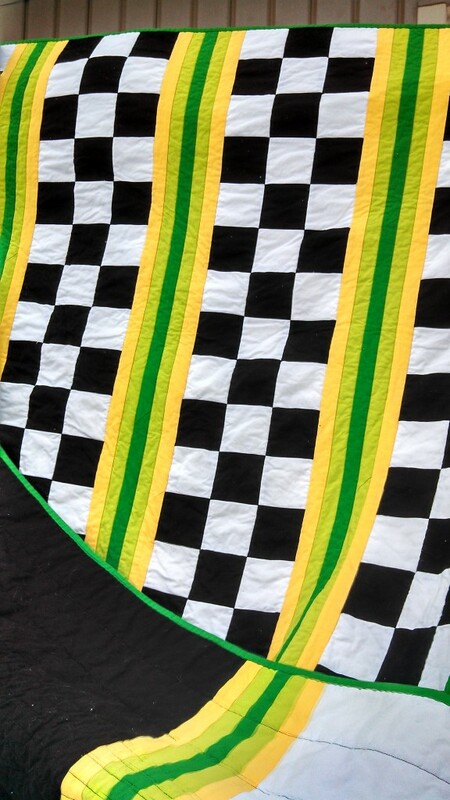 This is the first quilt I quilted by machine, and perhaps I should have started with a slightly smaller one. I used the walking foot and stitched in the ditch and it was sometimes a bear to handle. While it’s not perfect, I learned a TON. And homemade gifts are not supposed to be perfect anyway!